Wylie Recreation: LawnChair Theater & More! Frogger Dodgeball - Jump and dodge your way to safety! Open to ages 4 Yrs and Up, 3 - 4 PM. In Wylie Recreation Center's Back Gym, Rec Pass or Day Pass Required. Food Truck Friday - Cajun Tailgators food truck, Epic Pop Kettle Corn, and Kona Ice will be serving up tasty treats THIS FRIDAY just outside of Wylie Recreation Center , 5 - 9:30 PM. Bubblegum Blowing Contest - Show us your bubble blowing skills, 5:30 - 6 PM. Includes FREE bubble gum. Wylie Recreation Center courtyard. 80's Rock Out! - A most excellent variety of 80's music from 6 - 8:30 PM with DJ RJ Spinners. 80's Dancers performing from 7 - 8PM! Wylie Recreation Center courtyard. Craft Time - Make your own button flair, 6 - 8 PM. Wylie Recreation Center courtyard. Inflatable - Jump and slide combo, 6 - 10 PM. Wylie Recreation Center courtyard. 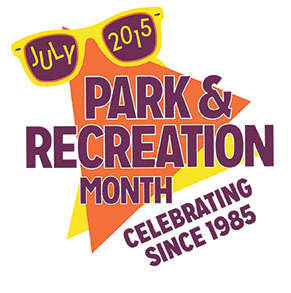 Since 1985, America has celebrated July as National Park and Recreation Month. Check out Wylie's wide variety of July-only activities ranging from health and wellness to nature and community spirit that we have added for this special month.